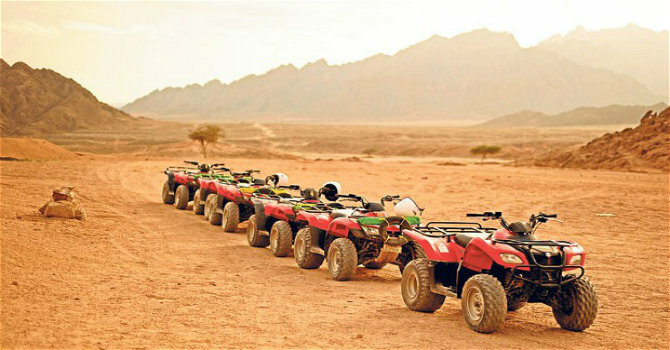 Our Rep will pick you up from Marsa Alam by 12 pm then drive to Sheikh Malek to start your safarii tour with about 25 Km quad ride into Egypt Eastern desert. Wader the amazing view of the sunset at the surrunding mountains. Once you arrive at the Bedouin village you will learn about their life style and traditions, enjoy the Bedouin tea, water pipe, camel ride and savor the barbeque dinner with the Bedouin show. Drive your bike back to its station then transfer to Hotel.